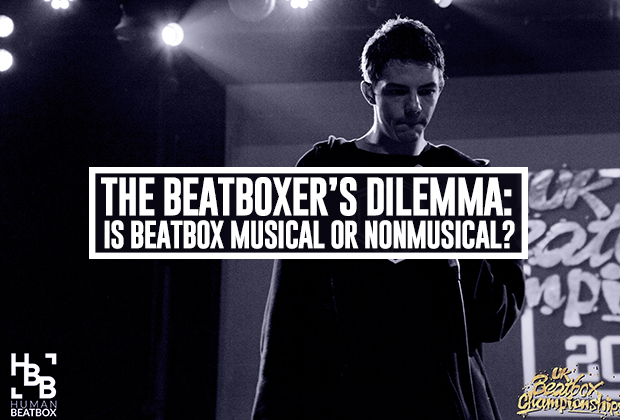 Home›Articles›The Beatboxer's Dilemma: Is Beatbox Musical or Nonmusical? In the summer 2015, I decided to research Beatboxing as topic for my Master dissertation. Why? Because I thought it was awesome. And because I resonated immediately with beatboxers' obsession with sounds. At that time, I was studying Ethnomusicology – a discipline that traditionally used to study exotic instruments, or folk songs, but in recent times is more about understanding any type of musical experiences, cultures and communities from an insider perspective. An ethnomusicologist tries to become part of the community she is researching, with the purpose of understanding someone else's point of view. It seemed to me that beatboxing – an urban, global, underground culture - was a very interesting and original object of study in "Ethnomusicology". 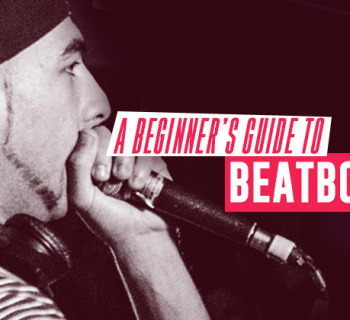 Therefore I embarked in the journey of interviewing in depth 26 beatboxers (from "celebrities" to beginners of any nationality, gender, age) with the purpose of finding out some "patterns" of the beatbox experience. I am going to talk you through some of my findings and explaining some of the ways in which beatboxing is fundamentally unique and different from any other musical artform. During my research, I followed the many debates in the community about musicality vs technicality. Needless to say, for a musicologist, dealing with something that is both musical and not musical at once, can be pretty challenging. I was left scratching my head for a while and questioning the concept of "music" itself. What is music, after all? This very notion did not seem appropriate to me to understand beatboxing. An interesting concept that helped me to make sense of it all came from Christopher Small’s definition of "Musicking." Music, says Small, is a process, not a product, and therefore "Musicking" is a better word to describe a lot of practices involving sound because music is more of an activity than a "thing." This "musicking" activity has all to do with creating connections with others, with the environment, with the world, it is literally a way of knowing the world. Considering beatboxing as "musicking", or a way of knowing the world, gave me this insight about the artform: "music" and "sound" can be two very different experiences in beatboxing. Spending hours and hours talking with beatboxers, I reached the following conclusion: the experience of music and the experience of sound overlap in beatbox, but they are not the same things. Each one has a relevance of its own. The community considers a musical beatboxer as someone who is able to make people dance and produce a flow that has "groove". It is about "that thing that connects", not about the type of sounds. Sounds are a whole different story. I think that the relationship of beatboxers with sounds is what makes them fundamentally different from other musicians. Although "sound" might seem like a self-evident word, it is not. For beatboxers, any sound - musical, environmental, linguistic, bodily, digital - is worthy of attention and meaningful. A sound does not have to be "musical" to be a beatbox sound. Sound in beatboxing is pure timbre and color. It is a marker of identity and uniqueness. It is a brand. It is a physical sensation. 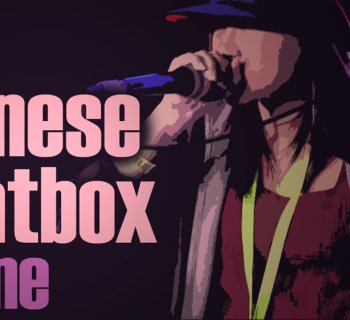 While "traditional," basic beatbox sounds rely on phonetics and drum imitation, especially at the beginning (the classic example being "B-T-K"), the more advanced it becomes, the more abstract and imaginative it gets. At that point, some virtually non-existing sounds can see the light through the process of exploration and experimentation of one's body, through random errors, through the imitation of the environment. There lies the "potential": sound has to be found, discovered, invented, which is a peculiarity of beatboxing, and this process is not necessarily intended to making "music" in the traditional sense of the term. In other words, I believe that "sound" in beatboxing has to do more with a certain way of engaging with the everyday life than music. Could it be that sound is a way through which beatboxers experience the world, and themselves? I believe so and I believe that it is what makes beatbox a lifestyle. I will share more thoughts about this in the next article. Until then, if you enjoyed this, please give us a like and share with your friends. Thank you for reading! 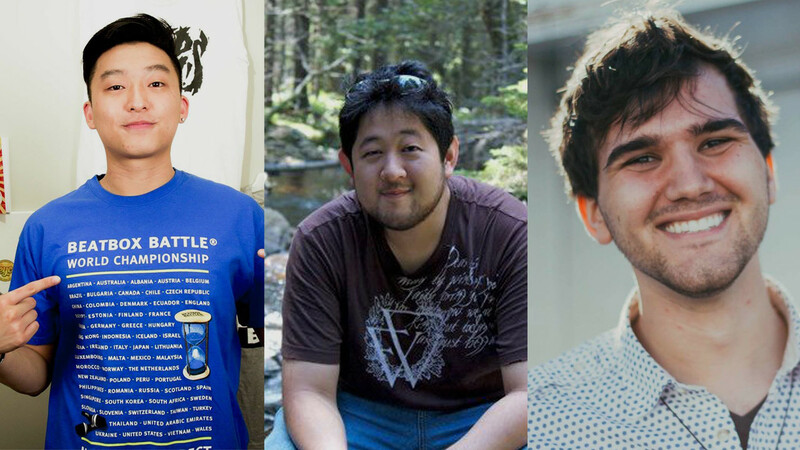 Meet the Human Beatbox Team! Very Interesting article. As a beatboxer, sound is my addiction because it is about its potential in music. Technicality and Musicality personally i don’t believe they are that distinct in other ways. I think that puts in terms how technical is your statement (the beats you make) or musical emphasis you posses in your composition. Awesome article! 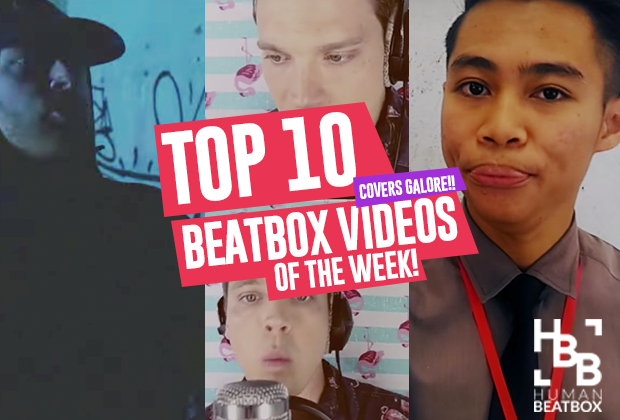 I really liked the notion about originality being in the timbre of beatboxers’ sounds.